This is the second in our series of interviews from the Regenerate 2018 conference in Albuquerque. 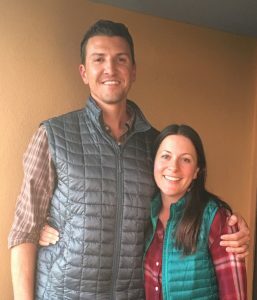 We talk to Jonathan and Kaylyn Cobb, co-owners Green Fields Farm in Rogers, Texas, who tell us the story of almost selling the farm but then coming in contact with regenerative principles and changing not only their way of working the land but of understanding and seeing it. The result has been a happier way of life, healthier soil, and increased profitability.